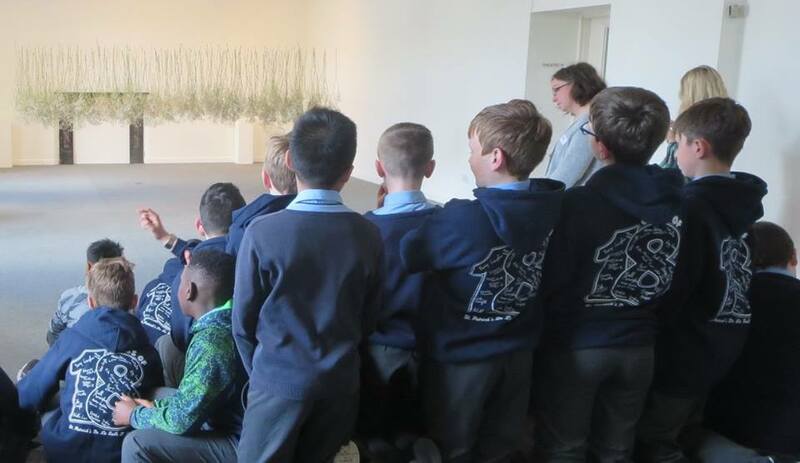 It is so great to see schools engaging with my exhibition Entropy at the Linenhall Arts Centre. Today has been a fun but busy day. I have been filming a little video piece about my new work Entropy. I like to use film as a way to document my work. Stay tuned to see the final video! 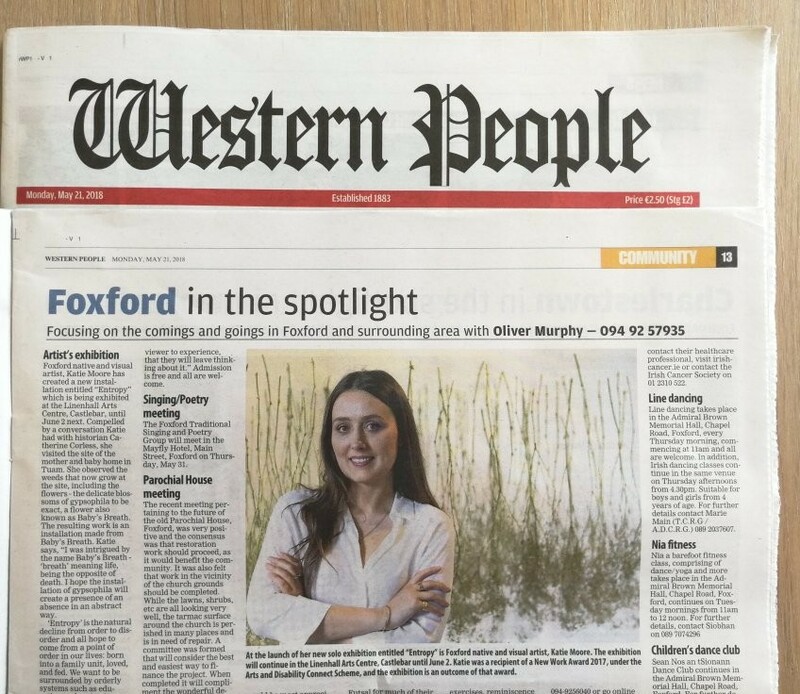 Thank you to Oliver Murphy for the feature in this week’s Western People about my exhibition Entropy. Entropy is on exhibit at the Linenhall Arts Centre Castlebar until the 2nd of June. 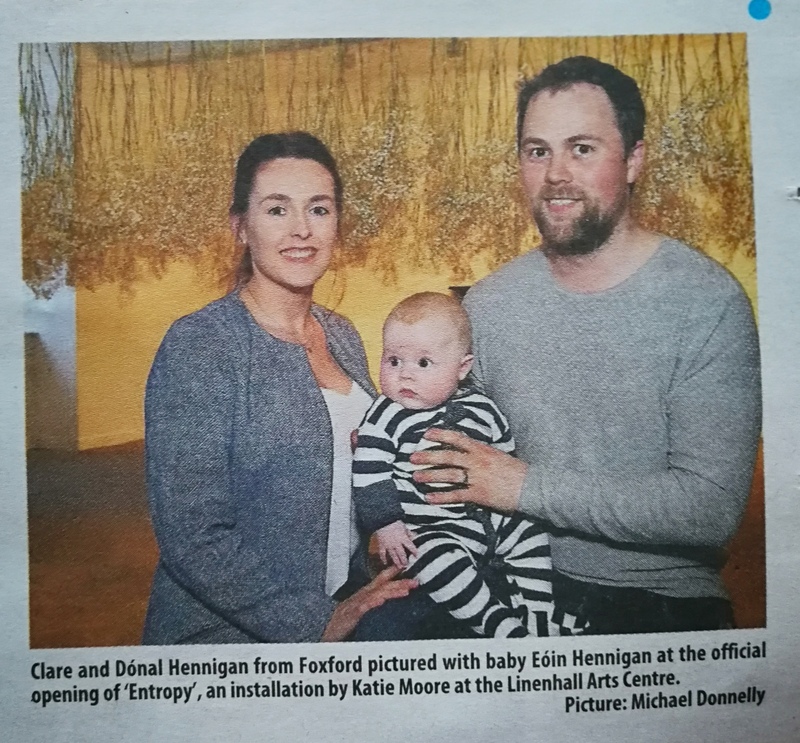 Check out this photo by Michael Donnelly in this week’s Western People, it’s from the opening of my exhibition Entropy – the lovely Hennigan family. 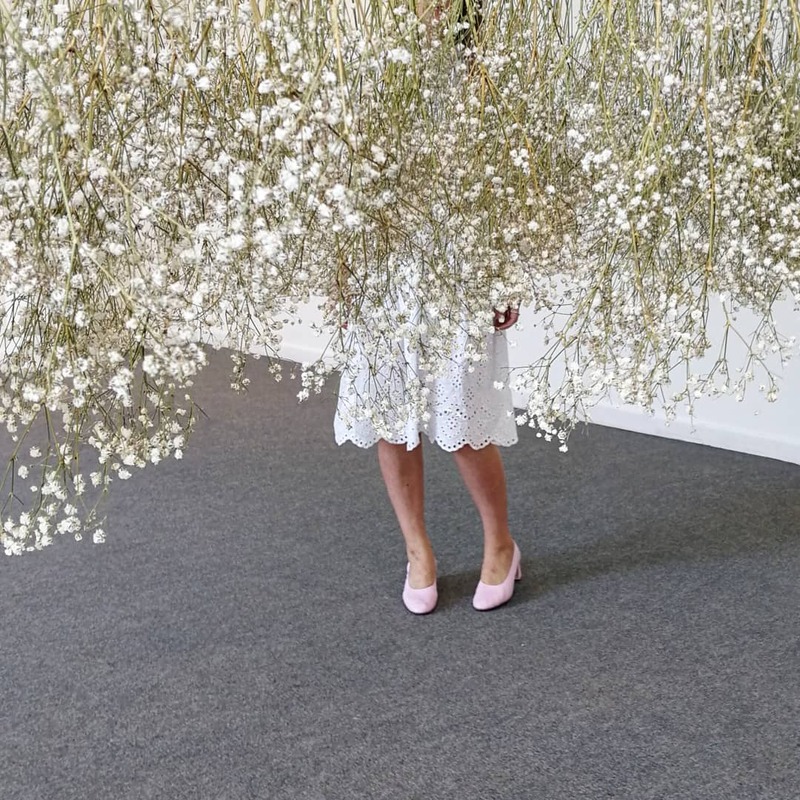 I called in to see my exhibition Entropy today. 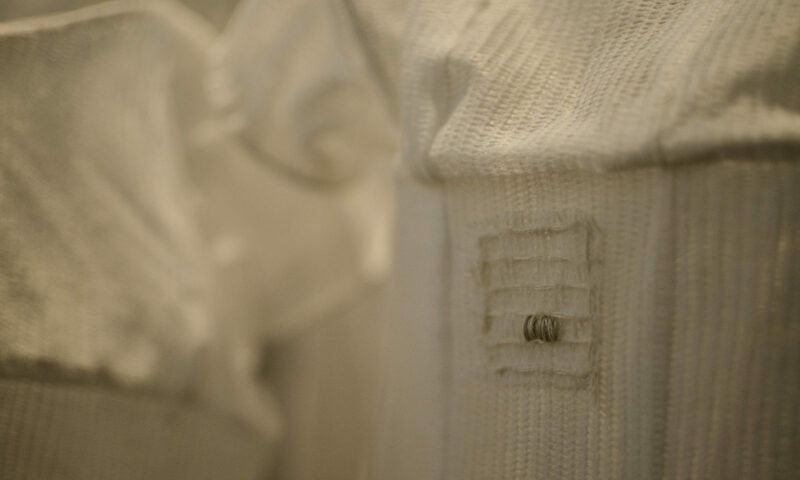 Here’s a detailed view of the installation…. Free entry and all are welcome. Lovely to wake up on a Monday morning to see your article on RTE Culture. 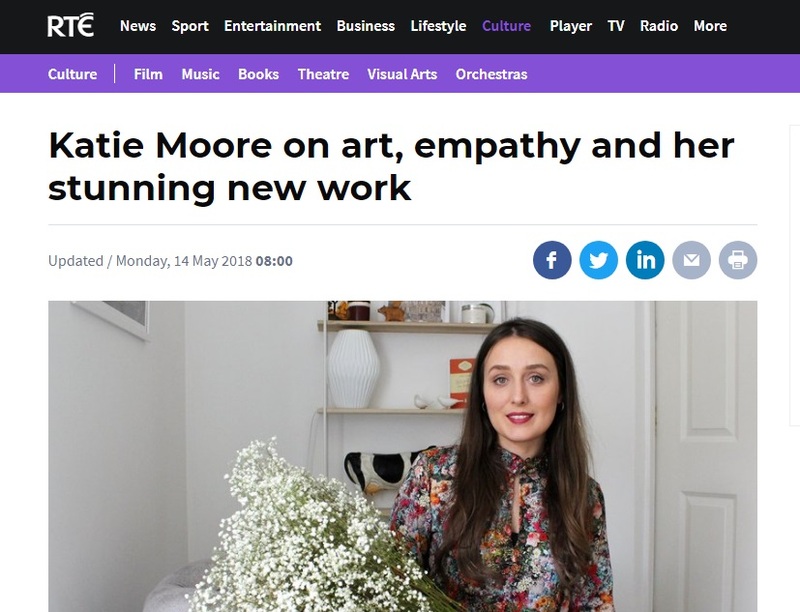 I am talking about my New Work Award with the Arts & Disability Connect Scheme, and my work Entropy, which was the outcome of the award. To read the article click HERE. 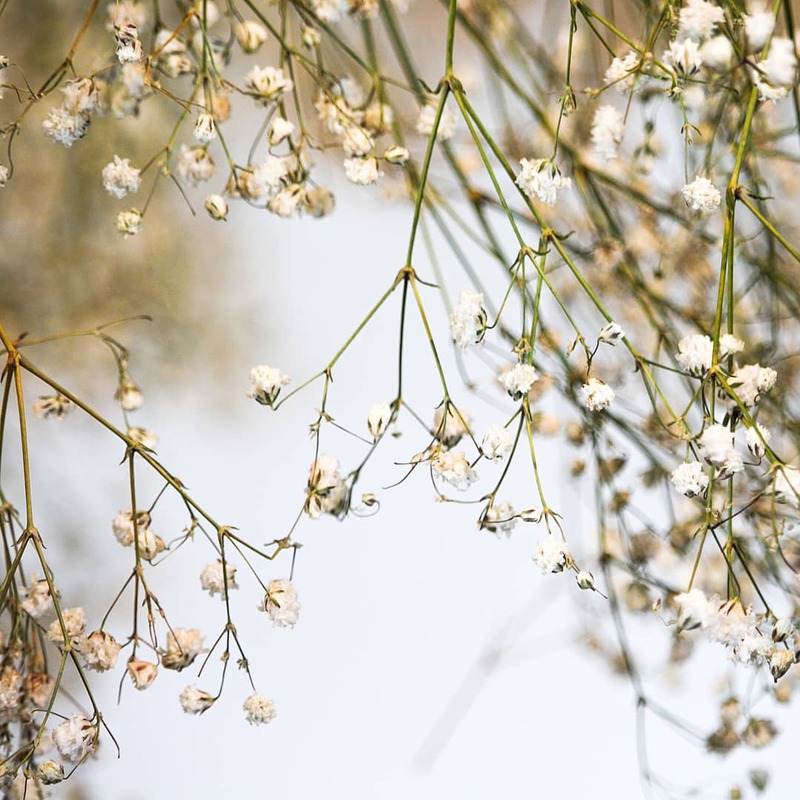 Entropy is currently on exhibit at the Linenhall Arts Centre Castlebar until the 2nd of June. I can’t believe it’s a week since the opening of my exhibition Entropy! 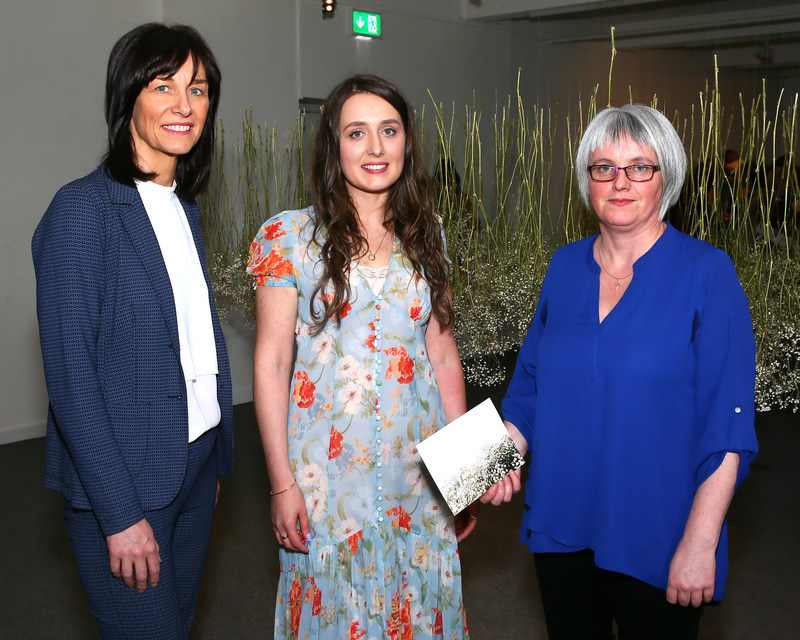 Thank you so much to Dr Deirdre Garvey for doing such a great job at being the guest speaker and officially opening my exhibition. 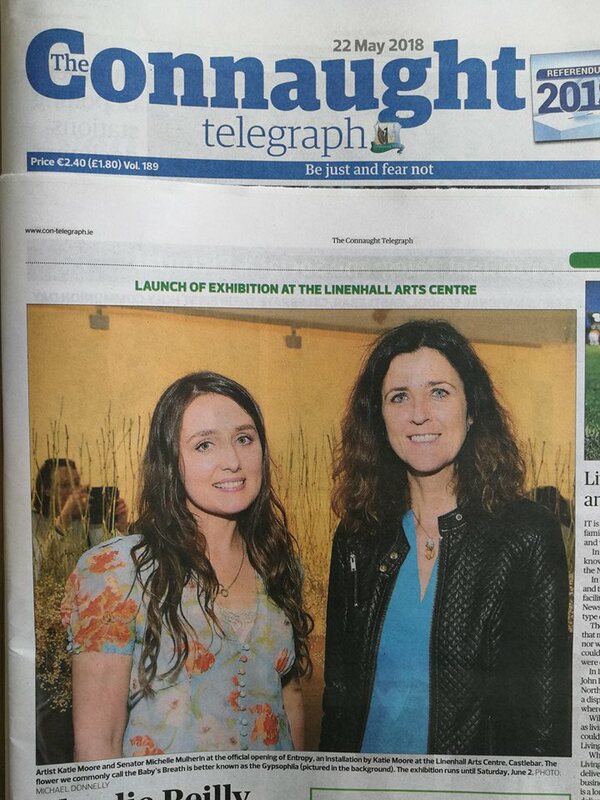 And a big thank you to Orla and everyone at the Linenhall Arts Centre. Entropy is on exhibit at the Linenhall Arts Centre until the 2nd of June. For more information click HERE. 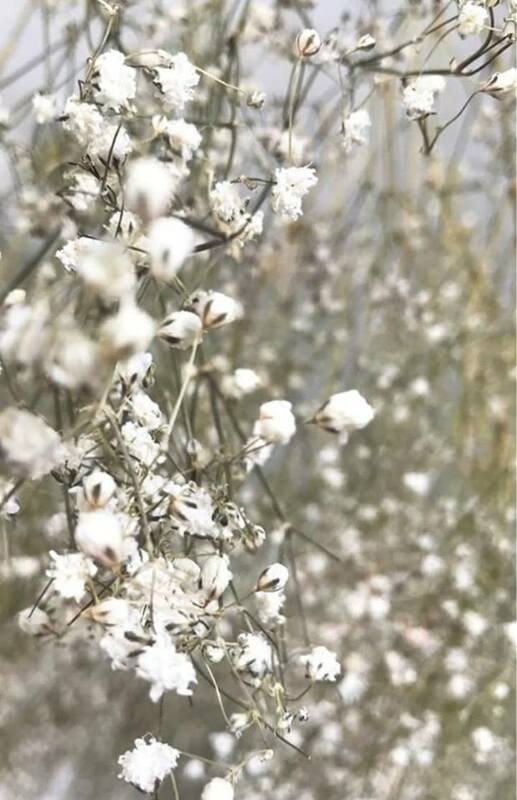 So many gypsophila, over 200 stems! Here’s a little video clip during the install of Entropy.